Recorded on Thanksgiving 1999, this is a sample of two pseudo-competing CHR stations serving Long Island. WBLI was (and may still be) an upbeat, fun-sounding CHR outlet, offering Long Island a locally focused alternative to similarly formatted stations from New York City. 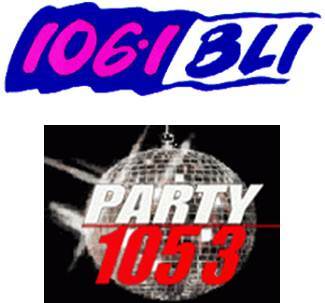 Party 105 offered an aggressive but balanced Rhythmic CHR format and was voiced by the legendary Mitch Craig at this time.